For a limited time, use coupon code WELCOME25 to save 25% off your first box! Each box comes with an activity book complete with instructions to turn your box into a display! (FYI – kids will likely need help with this. How cute is this bag? It has holographic trim, glitter text, and the inside is completely lined. It measures approximately 7 inches wide by 8 inches long. And the strap is adjustable, too! This bright tee is 50% cotton, 50% polyester. And it’s an exclusive design for subscribers! And, lastly, we have two non-Cinderella items. This is a pretty straightforward tin coin bank. It’s 6 inches tall with a 4 inch diameter. Coupon – COUPON – For a limited time, use coupon code WELCOME25 to save 25% off your first Disney Princess Box! My four year old daughter just got this same box, with the exception that the coin bank is slightly different than the one you show, and we got no shirt. I have to say that I am extremely disappointed. I thought that every shipment included a shirt or some other wearable item. This so far seems like a huge rip off. Have you tried emailing them? They responded very quickly to my query because they sent me a box I already had ie this one & are sending me another box free. Total communication took two days. They replied after 24 hours to ask me to explain what was wrong and provide pictures then they responded the next day with a solution. In the end despite the great service I decided to cancel for now. They seemed to have had some good stuff at some point but I can’t justify paying 30$ for a kids box that doesn’t come with a toy anymore. Coloring and assembling the box was the only fun for us. Just to follow up, I did get in touch with them through their Facebook page, and they offered to send us the t shirt that should come with the Cinderella box. I guess it was just an oversight that it was not in her box. The shirt came in the mail just a few days later. I was pretty surprised and impressed on how quick their response was. Hopefully the next couple of boxes in our subscription will be a little more exciting. 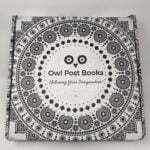 We received this feb box for our July subscription. Which is odd because we thought it was a new box every other month. The first box, Beauty and the Beast, has been the best box and I don’t think any of them have been near as good. We quit subbing because the biggest sized shirts don’t fit my 6 year old and since there’s a shirt in most of the boxes it’s not worth the price in my opinion. 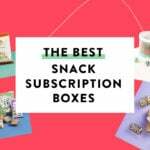 I love this site and have relied on it heavily for so many gift subscriptions and subscriptions for myself. That being said, I must say I do not agree that this is a great subscription. Rapunzel was by far the best in terms of value and toys and Jasmine was ok. I have found the rest to be fairly junky and definitely not something that I would buy if I was in the Disney store myself. The shirts are extremely cheap and on the small side, the customer service isn’t excellent at all and the shipping is a disaster! All in all I wish I had not subscribed.